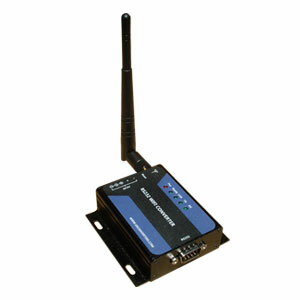 Here is a light-industrial grade serial RS232 to WiFi adapter which can be used to connect any standard RS232 serial device to a computer over an open or secure wireless network. It has a strong aluminum housing with screw mounting holes for easy installation which makes it ideal for most factory environments and other commercial facilities. This serial RS232 to WiFi adapter is designed around a Ralink MTK7688 processor which is a basic and reliable processor ensuring high-performance and reliability with basic functions. Supported network protocols are TCP, UDP, ARP, ICMP, DHCP, DNS, HTTP and Modbus TCP/RTU using 802.11b/g/n in AP or STA network modes. Supported security protocols are OPEN, SHAREDWEP, WPA-PSK and WPA2-PSK. The adapter's parameters can be configured over WiFi by using any standard web browser or through the serial port by using the downloadable configuration software. 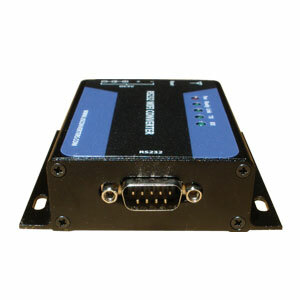 If your computer does not have a serial port then we recommend using a good USB to serial adapter such as our XS8801. Power for the adapter must be supplied through a standard DC jack with a voltage of 5VDC. 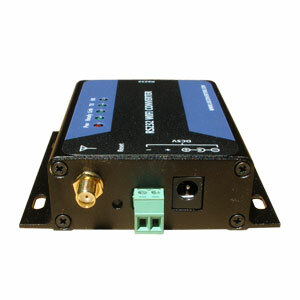 A standard 110VAC/5VDC power supply can be used as a power source. With the adapter is included a 3dBi antenna and a female/female serial null modem cable. 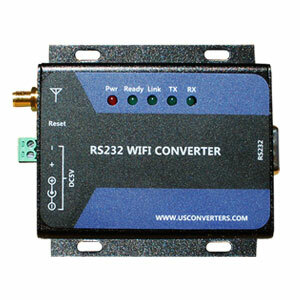 This adapter is ideal for most industrial environments, home automation, office, laboratory or factory environment and will allow you to connect any serial RS232 device to your WiFi network, with Windows, Android or most other mobile applications. Tested working with ASCOM drivers and most types of astronomy telescopes and software, see our Controlling a Telescope over WiFi setup guide for details.